People are being advised to have their fossil fuel and wood burning appliances – such as boilers, heaters and cookers – checked by an appropriately registered engineer before the winter sets in. Carbon Monoxide (CO) poisoning is a significant risk to people in the United Kingdom, particularly in the winter months, and causes around 50 people to die each year in England and Wales alone. Dr John Cooper of the Health Protection Agency said: "Many of these deaths take place between November and February due to faulty fossil fuel and wood burning appliances, and are therefore preventable. 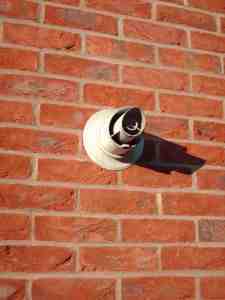 The HPA also recommends that people should fit an audible CO alarm which meets European Standards EN 50291, in their homes. The installation of an alarm, which can be bought from most DIY retailers, should not, however, replace regular inspections by a registered engineer. Carbon Monoxide is a colourless, odourless and tasteless gas which is difficult to detect. At high levels CO poisoning can cause sudden collapse, loss of consciousness and death. Other symptoms of CO poisoning include headaches, drowsiness, dizziness, chest pains nausea and vomiting. A recent study estimated that around 4,000 people attend accident and emergency departments in England each year because of carbon monoxide poisoning. Although most of the 4,000 people were not sick enough to be admitted to hospital, it is known that long term exposure is associated with neurological effects - such as having difficulties in concentrating. Dr Cooper said: “Although carbon monoxide is difficult to detect, there are sometimes indicators that may suggest a fault with domestic appliances or flues. The signs of trouble are black sooty marks on the radiants – the clay bars above the gas flames – of gas fires, sooty marks on the wall around stoves, boilers or fires, and smoke accumulating in rooms due to faulty flues. If you see any of these signs, turn off the appliance, open your windows and have an appropriately registered engineer service the appliance as soon as possible. Carbon monoxide poisoning reduces the oxygen-carrying capacity of blood and so starves vital organs of oxygen. As more carbon monoxide is breathed in, less oxygen can be carried in the blood and symptoms worsen. Reversal of symptoms experienced by those mildly poisoned occurs on breathing non-contaminated air or through the provision of 100% oxygen. * Gas Safe Register gassaferegister.co.uk.